A Black Felt Bowler Hat design – Ideal for a 1940s, 1950s or 1960s theme or any fancy dress occasion! 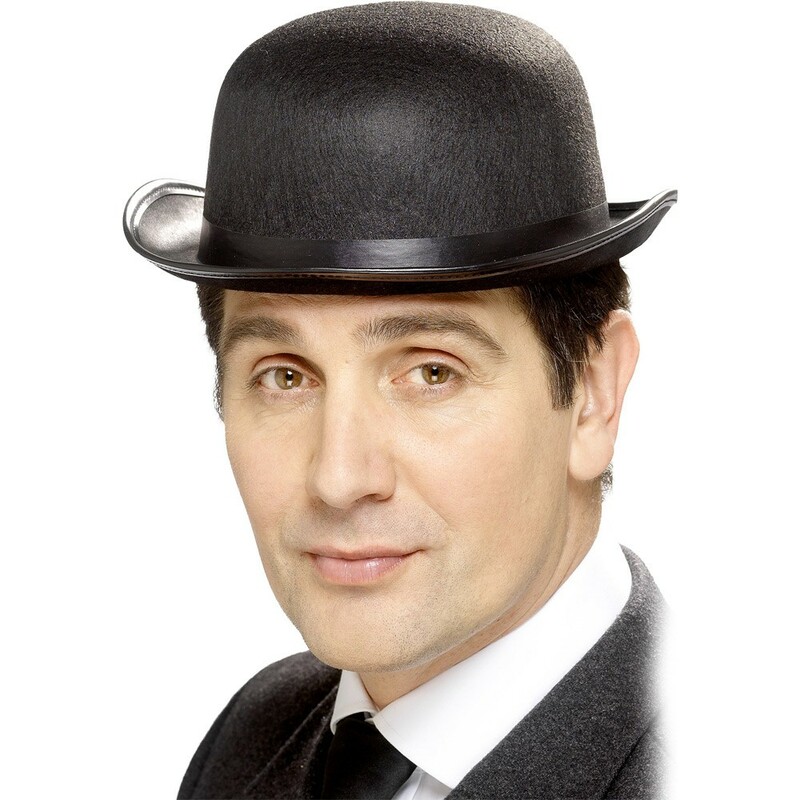 Add the perfect finishing touch to any fancy dress occasion, with this simple yet elegant Felt Bowler Hat.This FeltBowler Hat is perfect for that "City Gent" look. This stylized FeltBowler Hat is made of a black felt, with a black satin band around the Hat to complete this iconic style. Perfect for a Decades theme or any fancy dress occasion, this FeltBowler Hat will be sure to impress no matter what the occasion!